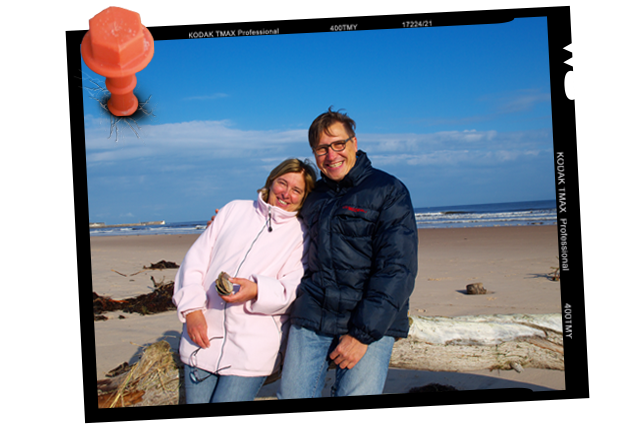 Brigitte and Achim Reinhold, founders of Peggy Peg Innovative Systems, are experienced and enthusiastic campers. This enthusiasm has led to the development of a wide range of products to enhance your camping experience. All around the world Peggy Peg is recognised by camping lovers to be the best screw-in peg on the market. The easily recognised blue and orange coloured Peggy Peg range is much appreciated for its simplicity and versatility. Made from nylon reinforced fibreglass, Peggy Pegs are five times lighter than a comparable metal peg. This considerably reduces the weight you have to carry with you. The big variability of ground types that it can be used in, combined with its superior holding power makes the Peggy Peg the perfect camping companion. 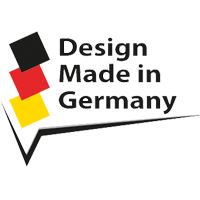 All our products are developed in Germany, with the focus on a multifunctional and combinable system. Wanna learn about our concept? Touching, trying out, asking questions: The contact to the campers is important to us. That is why we are travelling with Peggy Mobil at the most important trade fairs in Europe. Our products can be found all over the place in specialized retailers and through continuous cooperation with our trading partners. You´ll have a contact person in almost every European country. We love camping and this is reflected in every single one of our orange-blue products. From decades of camping experience we have designed all products so that they are easy to handle even under the sometimes difficult conditions on the road. Thanks to the interplay of thoughtful design and high-quality materials, our products keep extremely long. If an important part is lost, you can easily order a replacement via our service. The great success of the orange-blue products is certainly also in the uncompromising quality management of our company. In addition to strict production control, each part must be packed and shipped by the experienced hands of our employees before the sets are assembled in Germany.